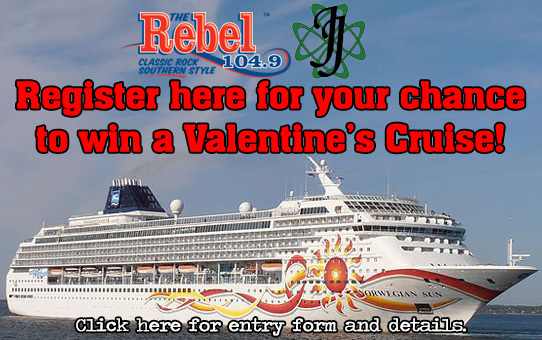 Register below for your chance to win a cruise on the Norwegian Sun! Trip departs from Port Canaveral on Norwegian Sun. At our private island paradise, Great Stirrup Cay, you can snorkel or kayak in crystal-clear water, get a massage in a beach cabana, or pick up some local Caribbean handicrafts at the straw market. With a long history that traces back to the days of legendary pirate, Blackbeard, Nassau has been luring seekers of treasure and adventure for centuries. Shop for liquor, perfume and jewelry bargains along Bay Street. Taxes, Port Fees, Transportation, not included. We are your NWGA Travel Advisors. Contact us today, the world awaits! Click the image above or the following link to visit Jlapptravels.com. Check with Travel by Jon and Jo’El Lapp for availability dates for cruise. Some dates may have “blackout” periods. Transportation for cruise departure location and return is responsibility of contest winner. Ship or destination may changed or substituted from prize listed based on weather, or mechanical reasons. Should a change occur, prize will be of equal or greater value. TRAVEL VOUCHERS ARE NOT TRANSFERRABLE. Upgrades, on shore tours, other activities and gratuities will be the responsibility of the contest winner. This contest is being run concurrently on WRBF, WROM, WQTU, and WSRM. One winner will be chosen at Random. Deadline for entry is Midnight February 14, 2019. Winner will be chosen on February 14, 2019. Prize will need to be used by Dec 31, 2019. Winner will be sent at 1099 tax form on this prize.